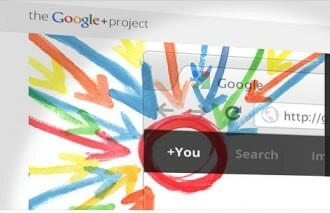 Google has revealed that more than 400 million users now have Google+ accounts and more than 100 million people are active on the service each month. It’s quite the accomplishment considering their social network has only been online for just over a year but they still have a lot of ground to gain on Facebook, a company that’s slowly approaching 1 billion users. Senior vice president of engineering Vic Gundotra announced the milestone on his Google+ page earlier today. There was a bit of confusion initially as CNET reported the search giant counts anyone interacting with a product related to Google+ as an active user. This includes YouTube, Google Play and Google’s search engine, just to name a few. The executive went on to clarify that those 100 million active users are from people visiting plus.google.com on computers, the mobile web or through the Google+ app. The publication further highlights that Google actually uses two different methods to calculate activity. The first measures things like +1s awarded to clips on YouTube or apps in the Google Play store from signed-in members. If you recall, Google said there were 150 million monthly users engaging with Google+ in this fashion back in June. The metric that surfaced today on Gundotra’s profile simply measures Google+ engagement as a destination and is reportedly the first time they have released this type of data to the public. He said his company couldn’t have imagined so many people would join in such a short period of time.